We keep your clients happy and occupied as your crew continues working. We offer a number of different recording / playback devices to suite different needs. The core of our typical package includes a QTAKE system. Mobile, powerful, dependable. Capable of recording HD Streams, overlay graphics to assist with framing, and capable of bringing up any shot at a moment's notice. Finally, your weeks, months, years of preproduction are over and you've found your way onto a small rock in the middle of the Pacific Ocean. he Village Village is the gathering place for Directors, DPs, Agency and Clients to assess footage, make decisions and envision the final masterpiece as it's being filmed. 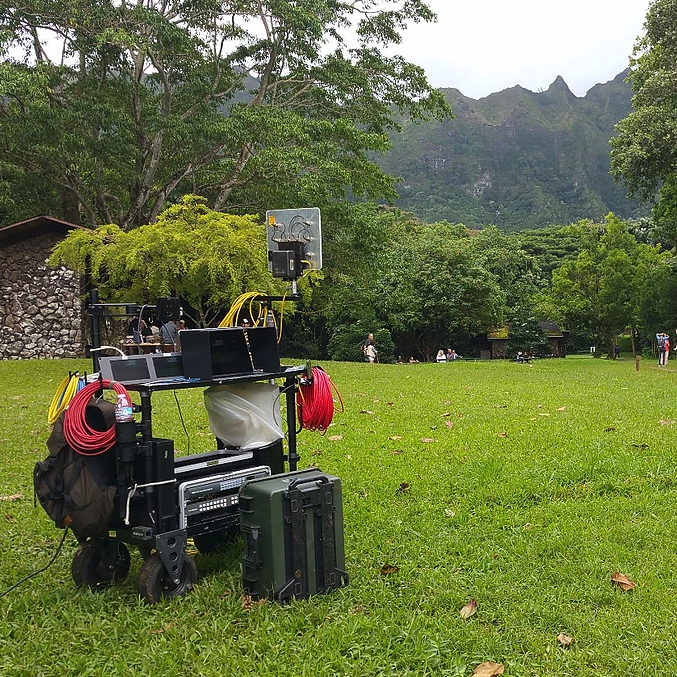 Every project has different expectations and needs, but unless you've filmed in Hawaii before, you're probably going to miss something. We've been thrown into every environment in Hawaii; from the top of Mauna Kea (13,800 ft) to boats and everything in-between. Contact our VTR Specialist for a quote!